JumpStart has recently branched out from their boxed learning software and their virtual online world for kids into console gaming. This fall, you can expect to see new JumpStart console games for the Nintento Wii and DS. Meanwhile the new and interesting places are popping up on the JumpStart World Map. 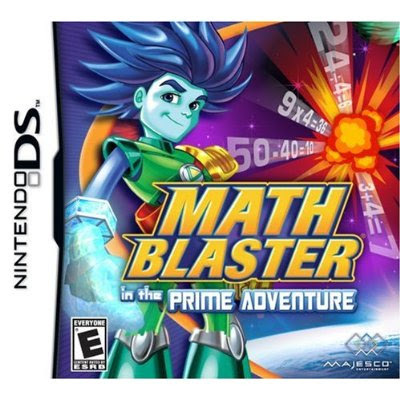 PlaSmart is a international toy distributor located in Ottawa, Canada. It is the home of the innovative PlasmaCar, as well as many other fine toys! One lucky reader will win ALL the items listed below. The PlasmaCar is pure fun! This kid (and adult) friendly ride on toy has no pedals, no gears and no batteries. Instead, it uses inertia, centrifugal force, gravity and friction to move across smooth flat surfaces. It’s super easy to operate and a complete blast for the whole family. 1) Leave a comment telling us what type math your child was learning at the end of this past school year. 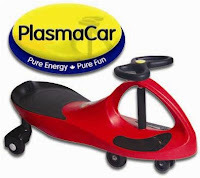 2) Visit PlaSmart and leave comment with your favorite color or favorite feature of the PlasmaCar. You MUST do BOTH to be eligible to win this contest, but you will receive one entry for each completed mandatory entry provided you leave a separate comment for each. 1) For an extra entry, follow Plasmart on Twitter. Then leave a separate comment with the link to your Twitter profile. This contest will be closed on Thursday, August 27th, 2009 at 11:59pm EST. A random number drawing will be held shortly after. The winner will be announced here and will be contact via email or through their blog. If the winner does not respond within 48 hours, a new number will be drawn.